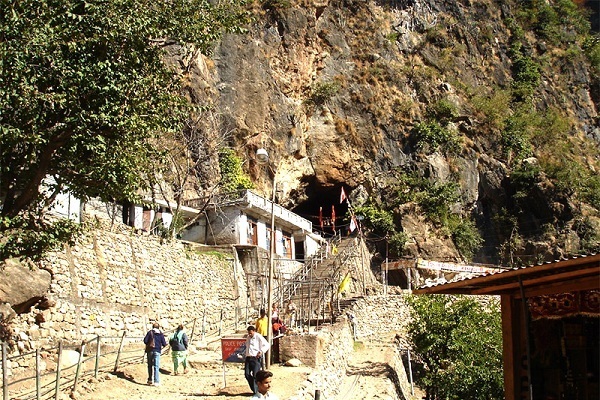 Shiv Khori is a one of the most revered cave of lord shiva, a must see place for hindu pilgrims. Its situated between the hillocks about 140 kilometers north of Jammu, 120 kilometers from Udhampur and 80 kilometers from Katra. uses and light vehicles go up to Ransoo, the base camp of pilgrimage. People have to traverse about 3 km on foot on a track recently constructed by the Shiv Khori Shrine Board. This natural cave is about 200 meters long, one meter wide and two to three meters high and contains a self made lingam, which according to the people is unending. 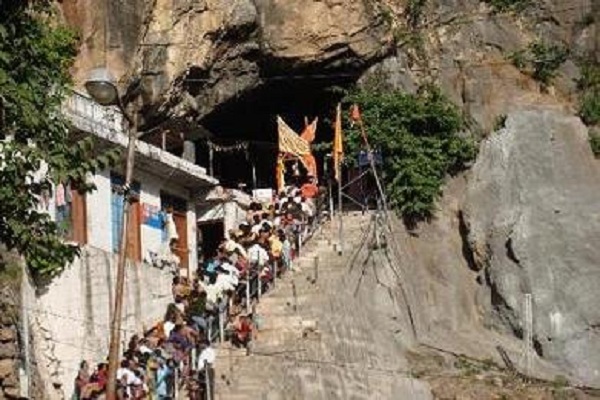 The first entrance of the cave is so wide that 300 devotees can be accommodated at a time. Its cavern is spacious to accommodate large number of people. The inner chamber of the cave is smaller. So much so that at one place in the cave, there is room for only one person to pass. At one spot it devides itself into two parts. To reach the main temple, people have to stoop low, crawl or adjust the body sidewards. Inside the cave there is a naturally created image of lord shiva, which is about 5 meter high. The cave also have a number of other natural objects resembling to Goddess Parvati, Lord Ganesha & Nandi gan. The cave roof is etched with snake formations, the water trickles through these on Shiva Lingam. 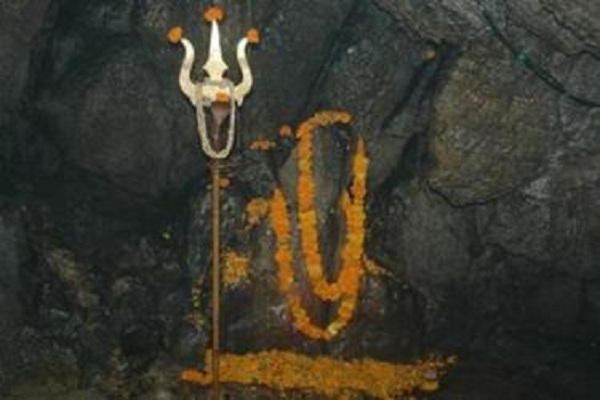 A 3-day Shiv Khori mela takes places annually on Maha Shivratri and thousands of pilgrims from different parts of the state and outside visit this cave shrine to seek blessings of Lord Shiva. Maha Shivratri festival is usually held in the month of February or during first week of March every year. 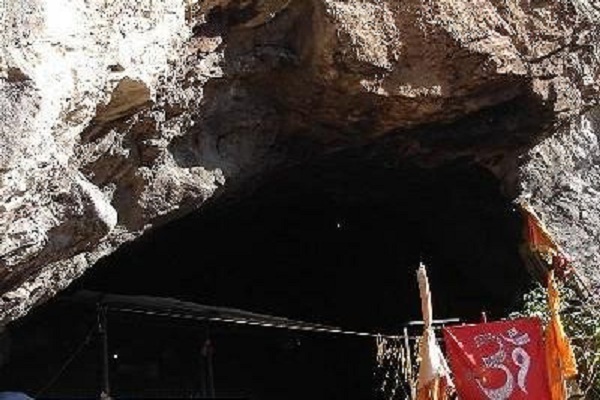 Keeping in view the increasing rush of pilgrims to the holy cave shrine, the Shiv Khori Shrine Board has taken up a number of steps to develop this spot in a bid to provide more and more facilities to the devotees, like construction of Shrine Guest House. Visitors can reach Jammu by either of road, train or air route. There is effectively good connectivity available to Jammu from various parts of the country. Paid taxi and bus service is easily available from Jammu station to Shiv Khori. The trip from Jammu to Katra is full of mountain twist and turns and full of breath taking scenery. It takes nearly 3-4 hours to travel from Jammu to Shiv Khori.